This week’s #BookFace had us at “seriocomic love story,” and yes, seriocomic is a real word. 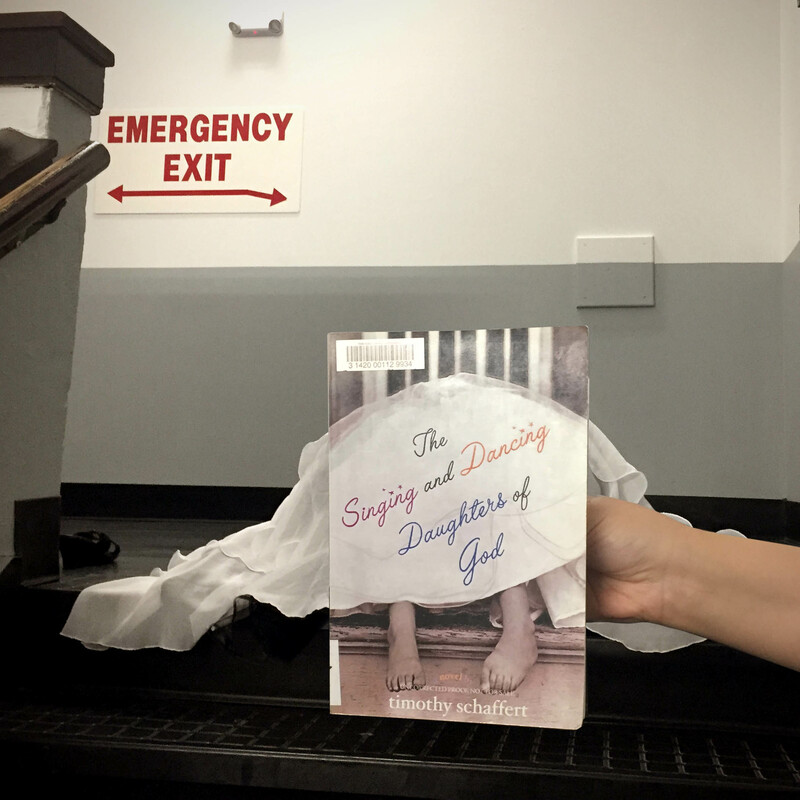 “The Singing and Dancing Daughters of God” by Timothy Schaffert (Unbridled Books, 2005) is this week’s #BookFaceFriday selection. Written by a Nebraska author, and set in our very own state, this novel is all about the twisting turns of the “Good Life.” This novel a part of our NLC Book Club Kit collection, and it’s the perfect choice for your next book club read! This week’s #BookFaceFriday model is our Information Services Librarian, Aimee Owen!